Both Karla and I have always been big thrill-seekers. I myself have subscribed to anything that spells heart-pounding, hands trembling, blood racing ever since my first roller coaster ride when I was 4. Extreme rides, jolting recreational activities, unsettling horror movies – name it, I’ll do it all! So just imagine my excitement when my blogger friends Raina and Miguel invited to dine 150 feet up a few weeks back. Who am I to say no, right? 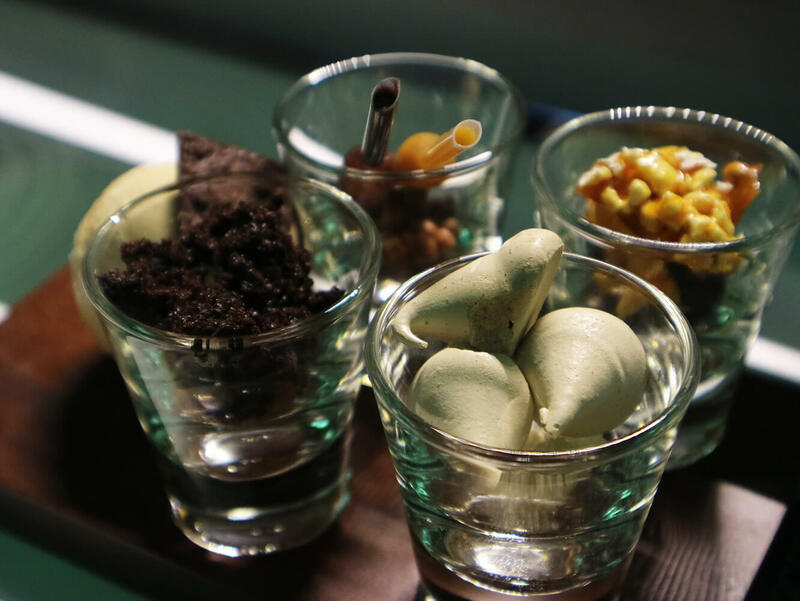 Check out this list of top 3 things to expect from Dinner in the Sky Philippines. It Is Really, Really High. But It Is also Really, Really Safe! It’s a exhilirating to be on a theme park ride 50-150 feet above ground level for about 2-5 minutes. But being hoisted up 150 feet for a whopping 1 hour (or so) can get quite terrifying. One the way to Solaire, I felt super excited for the once-in-a-lifetime experience but just as I entered the VIP holding area, suddenly I found myself getting really cold feet. Before you can even enjoy your pre-flight cocktail, you’ll be welcomed by their staff to formally register and sign a waiver! Scary, right? Nah. 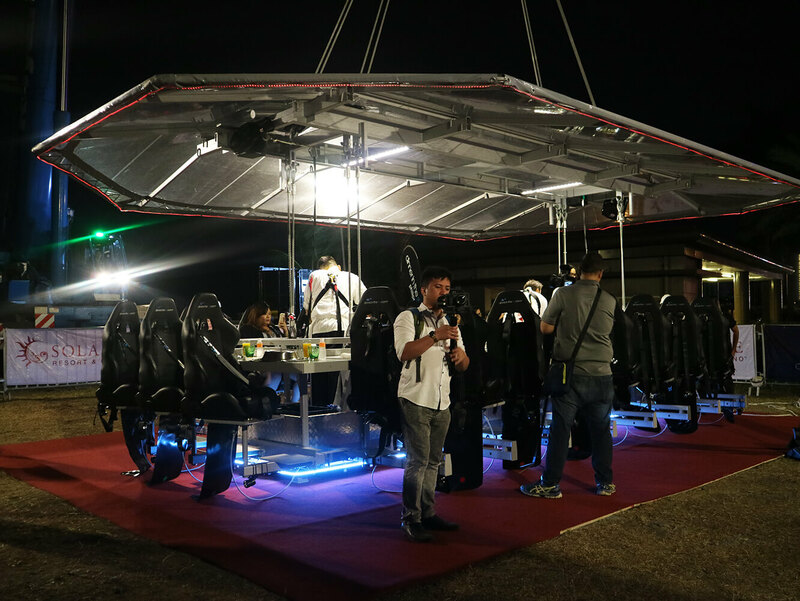 Over the past years, Dinner in the Sky has criss-crossed the skies of 45 cities around the world and has catered to thousands of adrenaline junkies and foodies alike. Most importantly, every aspect of the concept, from the seat belts to the type of crane used, has been scrutinized and carefully considered to ensure maximum safety of their clients and staff. Just before being strapped in, we were asked to line up according to our seat assignments, and deposit our personal items in individually-secured lockers.To avoid falling objects, each guest is allowed to bring only one gadget up so a point-and-shoot camera (with strap), a Go Pro, or a mobile phone will be ideal (SLRs not allowed). I was assigned to seat no. 9 right on the edge facing Manila Bay and boy was I breaking cold sweats going up. But then again, what’s there to be afraid of? While seated we wore safety belts over our shoulders and waist while Chef Hylton Le Roux and the rest of his crew are secured by safety harnesses all the time during the flight. Furthermore, a safety supervisor briefed us about all safety regulations prior to the flight and the whole Dinner in The Sky crew was going to be in full attention above and below us. Trying to be calm and composed, hehe. And then the movement stopped, we’ve finally reached the 150 feet mark. At this point, it’s safe to say that most of us (if not everyone) had mixed feelings about everything. Personally, it was a weird mix of adrenaline-pumping rush in my blood coupled with an usual numbness and mild trembling of my whole body (especially my hands). Luckily though, about a few minutes in, those anxious feelings were soon replaced by awe and excitement once again. 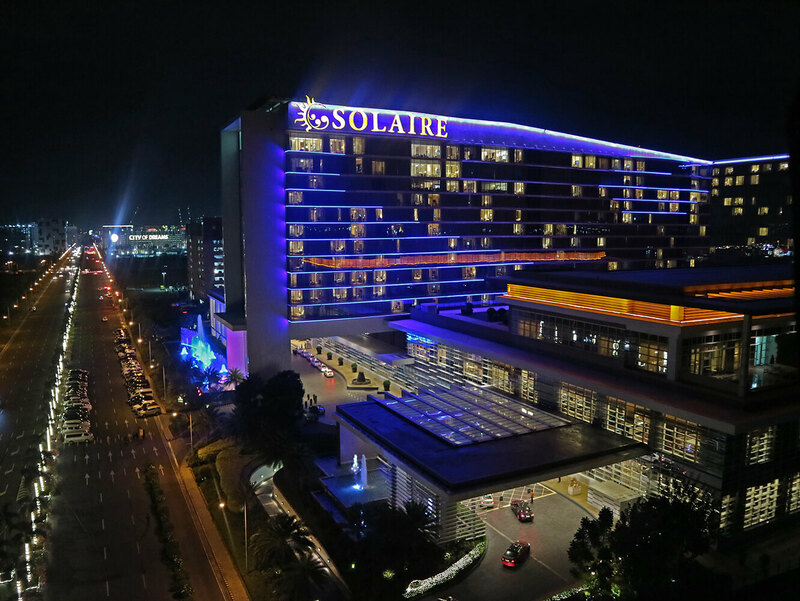 Awe because of the 360 degree view of the whole Manila Bay, Solaire Resort, Roxas Boulevard, and even the rest of Aseana City. And two, excitement because really, the thought of enjoying a good meal 150 feet up in the sky was just off the roof! Now that we’re comfortable in our seats, it’s time to talk about the food. That (windy) night, we were delightfully served a 4-course meal by Waterside’s very own Chef Hylton Le Roux and his crew. Take note not to expect hot-off the grill food though. As the food was prepared on ground and just plated while on board. First course: Tuna Tiradito, aji amarillo paste, lime pickled red radish, cassava crunch. Main course: A choice between the Mexican adobo spice Atlantic salmon, red quinoa. edamame, Huancaina cream, chili corn salsa. Or the Cuban style slow cooked pork belly, Mojo sauce, agave roast baby carrots, spicy refried beans. My personal favorite was the Chicken Anticuchos as it reminds me fondly of street barbecued chicken, only 10x better with its savor and the bold mix of mild sweetness and tanginess. The Tuna Ceviche was good but I found the portion small to appreciate fully. On the other hand, the Cuban Pork Belly I also had was quite good but would be better with some sauce on the side as well. And of course, I also had a great time plating (and devouring) my Dulce De Leche dessert. I thoroughly enjoyed the sumptuous feast prepared by Chef Hylton overall. I found everything well seasoned, well thought of, and had a unique flair and taste to it. 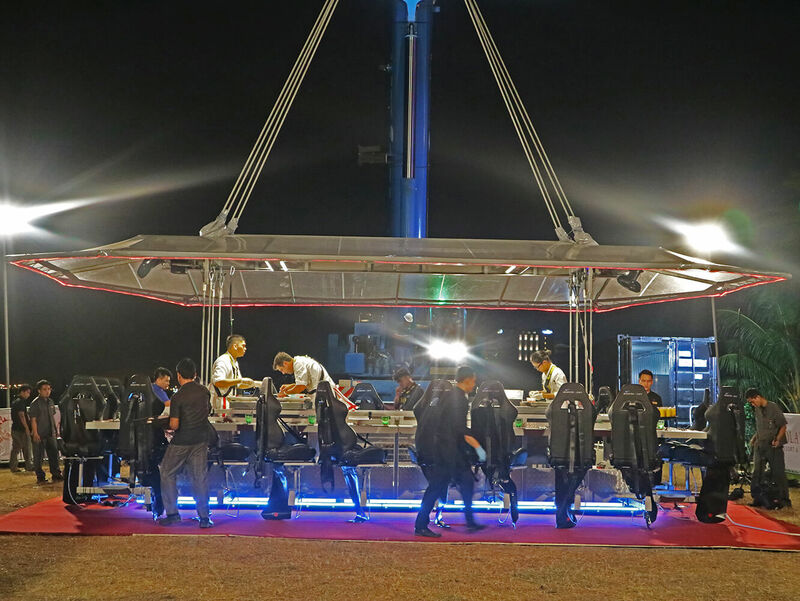 So is a Dinner In The Sky worth the hefty price tag? Oh heck yeah. I’d even do it over again if I could. Hello from 150 ft (50 meters) above ground. Solaire Resort in the Background. DON’T eat or drink too much and DO use the bathroom just before going up. You will be hoisted up for a minimum of 1 hour and clearly there’s no chance for a bathroom break 150 feet up in the sky. Plus if you get too anxious about the height, you don’t want to be too full to throw up. DO wear comfortable clothing. Pants, a comfortable shirt/top, and closed shoes are ideal for both men and women. There are no railings or floors, just a small platform to rest your feet. So ditch the sandals ladies! No loose items too like drop earrings or heavy jewelry. Bring a jacket or wrap-around too if you easily get cold. Lastly, and most importantly, DO stay calm and enjoy the #ditsPH experience. It can get quite scary yes, but I 1000% assure you, you will leave the hotel grounds with a different kind of high (pun intended)! Ready to take your dining experience to a whole new level? HURRY you only have until May 21 to book your seat. 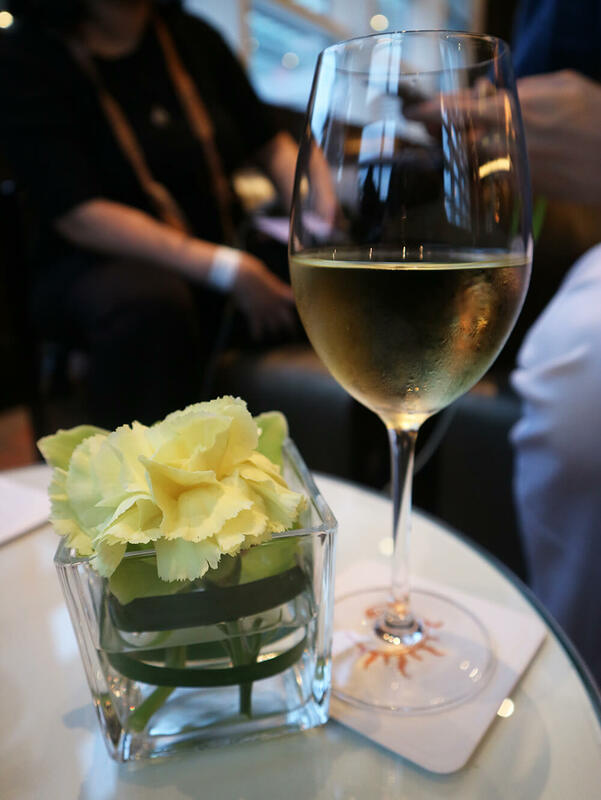 Price starts at Php 9,990.00 for a 4-course meal. 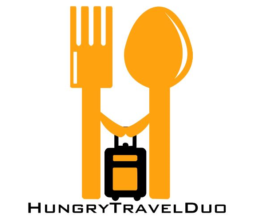 Check out their packages and menu here. No one gonna misses this amazing adventure who visited the Philippines. 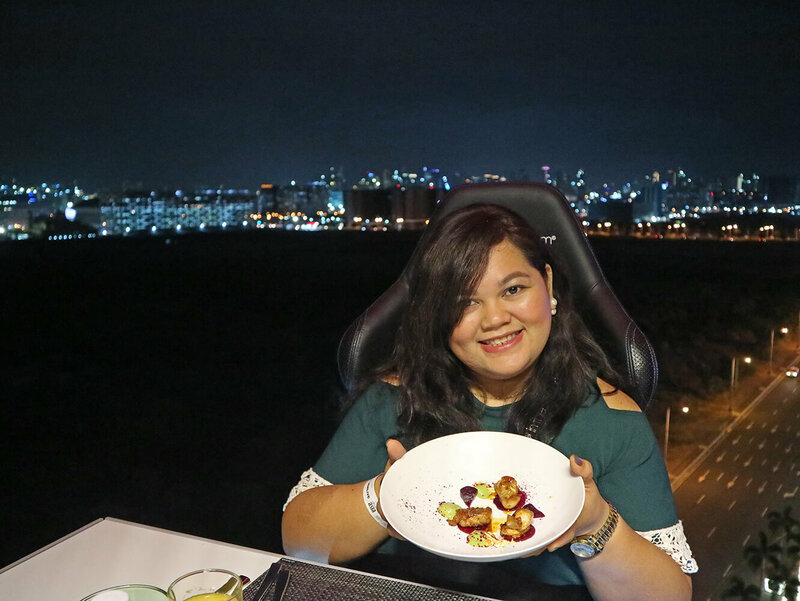 Usually, we are taking our dinner obediently but this thing changes the rule of a regular routine, It makes the simple dinner become more adventure with the view of Manila Bay. I have not visit Philippine, but I wish I found myself at this dinner table. I really enjoy to read your article, keep inspiring us with some unique information.